Iran: the Afsharid dynasty: Nader Shah. He was born Nader Quli - probably around 1698 - into an undistinguished family of the Türkmen Afshar tribe from Central Asia - who had been displaced to Azerbaijan during the Mongol invasions - and then translocated to Khorasan by Abbas I. Khorasan at this time was virtually independent from Shah Mahmud Ghilzai in Isfahan, and was controlled by another Mahmud, ruler of Sistan, and supporter of Mahmud Ghilzai, Mahmud Malik. Emulating his heroes Genghis Khan and Timur, Nader Quli gradually won over the various tribal leaders and officials through force or diplomacy, whichever was more effective. Cruelty and deception were also useful. Tahmasp II, with his Qajar allies from Mazandaran, defeated Mahmud Malik in Khorasan in 1726. The Qajar leader, Fath Ali Khan, naturally expected to be the new ruler of Khorasan - but Nader Quli had other ideas. He (probably) had Fath Ali Khan assassinated, and thus both his rivals for control of Khorasan had been eliminated. He also had a tame Safavid in the person of Tahmasp II, who soon transferred his affection to him - and thus gave him a kind of legitimacy; as vizier he could be seen as acting on the shah's behalf. He gloried in his new title as Tahmasp Quli ("slave of Tahmasp"). Together they took Mashhad. Mahmud Ghilzai was murdered in 1726, he was succeeded by his cousin Ashraf Ghilzai. 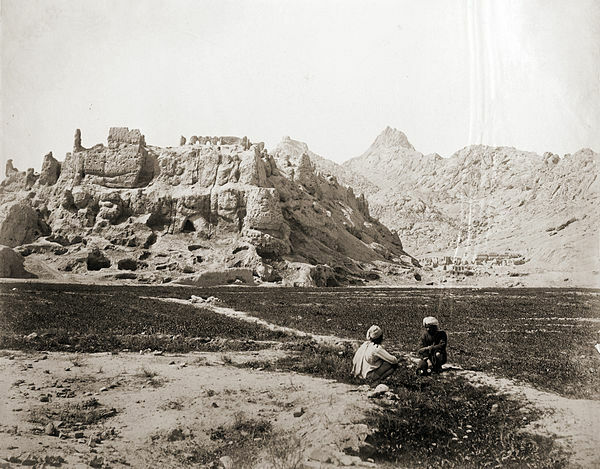 In 1729 Nader Quli attacked Herat - home of the Ghilzai's defeated rivals, the Abdali - and Ashraf led his army eastwards to defend it. Nader, with Abdali help, defeated Ashraf and moved to take Isfahan, the Safavid capital. He set Tahmasp on the throne as Shah Tahmasp II - and, like Timur before him, consolidated his position by marrying a princess, Tahmasp's sister Ruqayyeh. Nader exercised his ambition with great caution. First (1730) he set up Tahmasp as shah, being content to continue as vizier, and get on with military matters. In 1732 he fell out with Tahmasp, and decided he could rule better without him - he arranged for Tahmasp to be caught in public display of his drunkenness and and hence unfitness to rule - which made it acceptable to depose him. He still didn't make himself shah, though - deciding to nominate Tahmasp's 18-month old baby son as Shah Abbas III. He then went off again to pursue campaigns against The Ottomans and the Russians. Then in 1736, unexpectedly, he finally deposed Abbas, and made himself Nader Shah. In 1740 Abbas and his father were murdered. But such was the power of the Safavid name, that pretenders continued to emerge for some time. 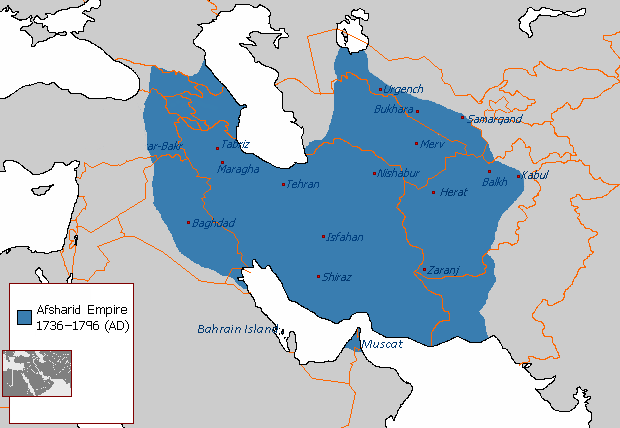 Nader, on becoming Shah, at once tried to change the state religion from the Twelver Shi'ism of the Safavids, to a kind of compromise Sunnism, which could smooth out the religious differences between Iran and the Sunni Ottomans to the west, and the Sunni Mughals to the east - and also gratify his own Türkmen Sunni followers. The policy was a failure - it wasn't acceptable to the Ottomans or the Mughals - and the people of Iran were already too attached to their Shi'i faith. If he perhaps saw himself as the eventual ruler of all Islam - it would make sense to eliminate the current sectarian differences. Communities who rebelled against his edict were savagely punished. 1730 He fought the Ottomans and regained most of the territory lost during the last Safavid reigns. He then had to march to Khorasan to crush a rebellion of the Abdali Afghans: while he was away, Shah Tahmasp II intervened disastrously in the Ottoman campaign, and signed away most of Nader's gains. Hence his decision to force Tahmasp to abdicate [above]. 1732 - 1735 He then continued the war with the Ottomans, and eventually regained Armenia and Georgia, and signed a treaty with the Russians, who agreed to withdraw from occupied territory. In 1738 He completed his Afghan campaigns with the conquest of Qandahar, last outpost of the Hotakids - which encouraged him to consider attacking the Mughal empire in northern India/Pakistan. The vastly wealthy Mughals (descendants of the Timurid Babur, once forced to abandon his dreams of rule in Central Asia) were losing their grip - their empire disintegrating under pressure from Sikhs and Hindu Marathas to the south. Nader mopped up the Mughals' Afghan territories (Ghazni, Kabul) and those in northern Pakistan. He crossed the Indus, and advanced towards Delhi - the Mughal emperor, Muhammad Shah faced him with a force that outnumbered his six to one (300,000 men) - but was spectacularly defeated in a brief battle: Battle of Karnai 1739. Muhammad was captured, Nader entered Delhi, and a massacre on a Timur-like scale ensued. Nader Shah loaded thousands of horses, camels and elephants with booty - he took so much loot that he over-generously promised his subjects they need pay no tax for the next three years. It didn't happen - his campaigns were far too expensive, and he continued to oppress his subjects and bankrupt his treasury. He was ruthless in punishing communities who rebelled against taxation - even building towers of their skulls à la Timur. He abandoned all his conquests east of the Indus, allowing Muhammad to stay in charge. It was enough to humiliate him and take the booty. The money gained meant he could afford to resume campaigning against the Ottomans and in the Caucasus. 1740 Transoxiana. Nader conquered the khanates of Khiva and Bokhara. Here he married the khan's daughter - because she was descended from his idol Genghis Khan. 1741 He now turned towards the Caucasus - en route he survived an assassination attempt, for which he blamed his son, Reza Quli, and eventually had him blinded. From now on he was increasingly showing signs of mental illness. The Caucasus campaign was only temporarily successful. 1742 Having deveoped a navy, he recaptured Bahrain from the Arabs, and conquered Muscat and Oman. 1743 War with Ottomans again, ending in the Battle of Kars in August 1745, and another at Mosul: in both, the Ottomans were definitively routed. Peace was made on favorable term to Nader Shah: the Treaty of Kerden in 1746, in which the western frontier was settled in the form it has more or less remained to this day. There was no counter-attack to exploit the victory. Iranians were permitted to access Turkish lands to visit their shrines at Najaf - and to make pilgrimage to Mecca. By 1746, revolts against Nader Shah's impossible taxation demands and repressive cruelty were erupting in various parts - possibly exacerbated by his "mental illness". Even his family and associates felt threatened. In 1747 he was assassinated by Qizilbash officers in his army, who feared they were about to become victims of his paranoia. He was succeeded by his nephew Ali Quli, who may have been in on the plot. 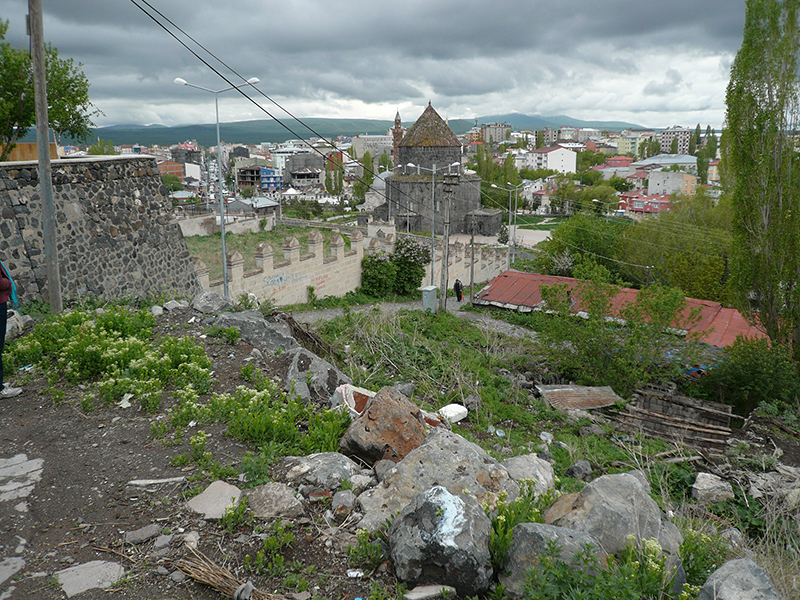 From the beginning of Nader Shah's career ... until his march into Daghestan [i.e. in the Caucasus 1741, when he survived the assassination attempt], he was entirely occupied by the care of his empire and the administration of justice, in such a manner that the people of Iran would have given their lives for him. But after this time he changed completely. At the instigation of some hostile spirit, this unhappy monarch listened to ill-intentioned spies, and had the eyes of Reza Quli, the best and dearest of his sons, torn out. Remorse quickly followed this rash cruelty, and Nader Shah became like a madman. The reports of bad news of troubles in various parts of his dominion increased his rage. Successful conqueror and imperialist though he was, Nader Shah's legacy was chaos, violence and misery. Axworthy attributes his obscurity (in western history) to his failure to fit the pattern of a decadent oriental potentate - and his misfortune in anticipating the glorious deeds of Clive and Wellington in India: a European-style imperialist born in the wrong place at the wrong time! The murder of the imprisoned Safavids was carried out on the suggestion of Nader Shah's son, Reza Quli by the Qajar chieftain, Muhammad Husain Khan in person, with great brutality. 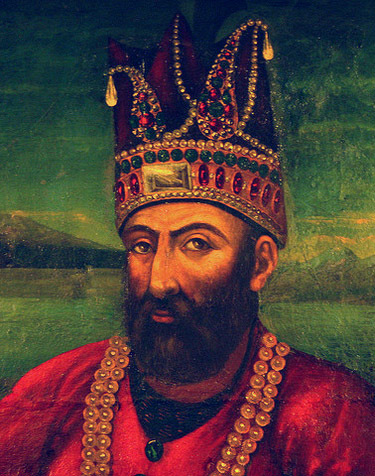 The Qajar, who had moved his support to Reza after (false) rumours of Nader Shah's death in India, was also implicated in the attempt on Nader Shah's life in 1741. He favoured Ja'farism, named for Jafar, the Sixth Imam. It tried to water down the standard Twelver Shi'ism. His hope was to establish Ja'fari as a fifth acceptable school of Sunni law (alongside the Hanafi, Maliki, Shafi'i and Hanbali). Nader himself, according to his Christian doctor, had no real interest in religion at all - though as a Qizilbash tribesman, his background was Shi'i. Among the jewels he looted was the legendary Koh-i-Noor diamond, which eventually found its way into the British crown jewels (though it can only be worn by a woman - otherwise it brings bad luck). He also took home the fabled "Peacock Throne" of the Mughal emperors. Nader's eldest son. Nader had not been impressed with the way he'd governed while left in charge during his father's campaigns. He'd also refused to marry the daughter of the khan of Bokhara. Nader Shah had built a successful army, welding together Shi'i Qizilbash and Sunni Afghans, though encouraging competition. Recently he'd begun to show preference to his Afghan and Uzbek contingents, causing disaffection among the Iranians. After his death the army fell apart - just like that of another brilliant and charismatic general - Alexander.